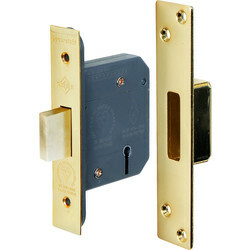 Locks are an essential aspect of a building as they help keep our belongings and employees or family safe. 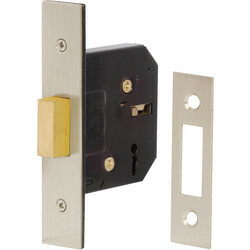 Purchasing the best lock for a door is a high priority for tradesmen and Toolstation stock a variety of door lock types in our safety and security range. 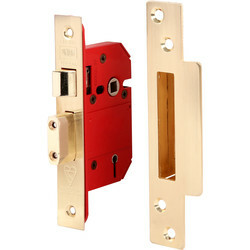 Browse a vast collection of locks from brands you can trust like Yale, Union, Forge Hardware and ERA locks. 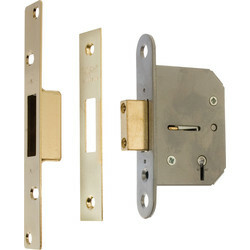 Choose 5 lever mortice deadlocks for maximum security with external wooden doors, such as the Union StrongBOLT BS 5 lever deadlock, BS high security 5 level deadlock or the Yale BS 5 lever mortice deadlock available in various finishes. 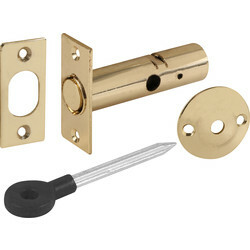 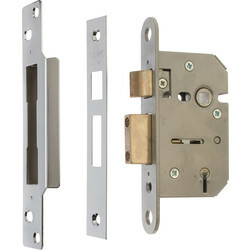 For internal doors, install a 3 lever deadlock with reversible latch for left or right hand doors, and use the rebate kit available in brass and chrome for ease of fitting a deadlock. 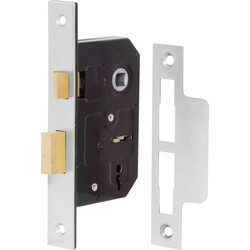 Alternatively, invest in a sashlock for doors when a key and a handle are required to operate, such as the 3 lever sashlock or BS high security 5 lever sashlock. The Forge keyed alike lock set is ideal if entrance to two doors with one key is needed and is available as a sashlock set or deadlock and sashlock set. 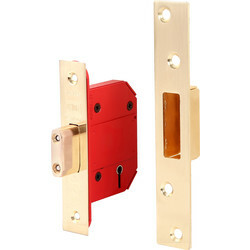 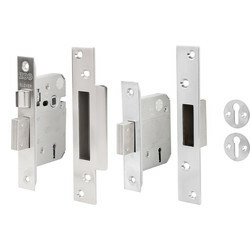 For standard levels of security, a euro profile deadlock or euro profile sashlock is suitable and the UNION StrongBOLT euro profile locks are a good option when looking for something that is highly durable. 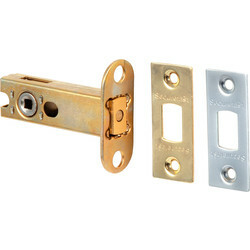 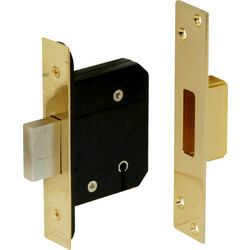 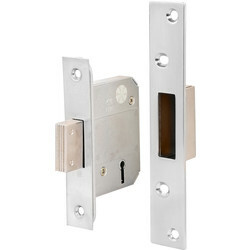 Indicator bolts are the ideal bathroom door locks for commercial or office buildings. 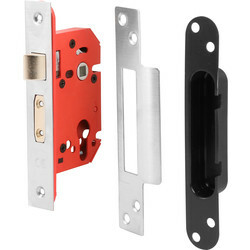 Other popular locks include Cylinder locks, the Yale doormaster PVCu door replacement lock and rim lock with handles for timber doors or sheds. 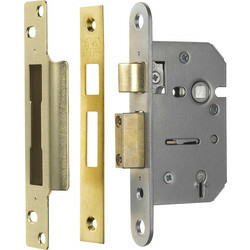 Click and collect from your nearest Toolstation branch or spend over £10 and receive free delivery.